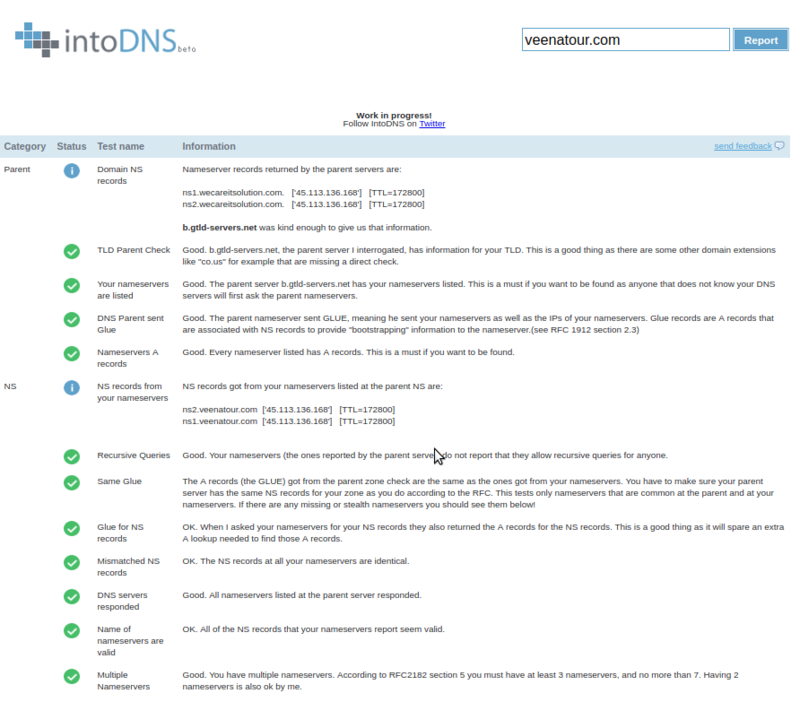 login to your Cpanel account >> go to DNS Zone Editor. >> select the domain name from the drop-down menu >> and click on Edit. For Example:Enter Hostname as www and target as 45.113.136.168 which is your IP and click on Save Changes. After you have added the record >> login to root access in the command prompt >> and type " service named restart "
Step 4: If you want to create a 301 redirect forcing all http requests to use either www.example.com or example.com.By default your website can be accessed with both www.example.com and example.com. Since Google penalizes this due to duplicated content reasons, you should restrict the access to either www.example.com or example.com. Some links may be outside of your website scope and/or the search engines may have already indexed your website under both addresses. Website is not opening with www prefix which is very common and many user will assume that they need to provide it,Also getting an error message saying "www.testing.com’s server DNS address could not be found". The issue is due to A Record is not updated with www prefix and not pointed to your IP address under DNS Configuration, that means your domain with www prefix is not pointing to the proper IP address provided by HostingRaja,or it is not added. If you are using our virtual or cloud to provide many websites on a single IP address, you will also need to tell your web server about the alternative name for the site means you need to add testing.com as an alias for www.testing.com on your web space or apache configuration. 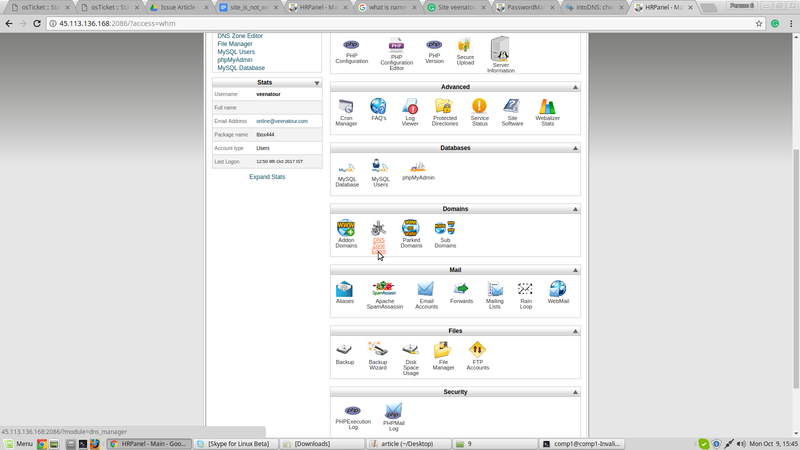 Step 2: If the nameserver are not pointing to the server then login to your Cpanel account >> go to DNS Zone Editor. >> select the domain name from the drop-down menu >> and click on Edit. 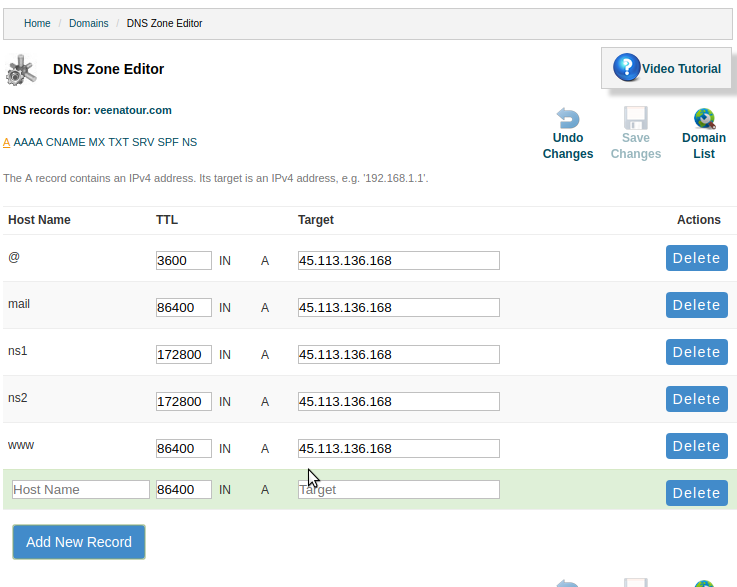 Enter Hostname as ns1, TTL as 172800 and target as 45.113.136.168 which is your IP. Again Enter Hostname as ns2, TTL as 172800 and target as 45.113.136.168 which is your IP and click on Save Changes. Any DNS changes will take 24-48 hours to propagate globally.